“Mumbai is not just a city; it is the most crucial part of the people who live there. With huge buildings and the slums in the opposite, the Vada Pao is what makes life easy in Mumbai.” The place which is always awake with the perfect hustle – bustle in every part of the day, the place where thousands of people land daily from every single train to hunt their dreams, the place where the life is a lot more about the struggle and luxury, the place, the city is Mumbai. The largest city of India, Mumbai was formerly known as Bombay. 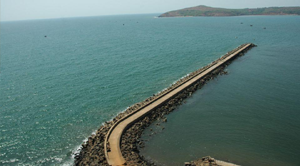 The perfect fusion of seven islands on the Konkan Coastline made the city Bombay. 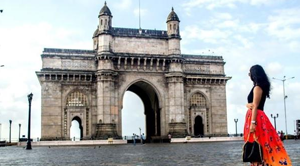 Being the Capital of the state Maharashtra, Mumbai is known as the Entertainment and Financial Capital as well. Proudly called as the ‘City of Dreams’, Mumbai is home to the dreamers and hard-laborers, starlets and gangsters, wandering dogs and peculiar birds, artists and servants, fisher folk and the millionaires and numerous people. Considered to be as the city of all, Mumbai just not houses the richest of the world but also Asia’s biggest slum as well and now this has started gaining interest among the researchers all over the world. 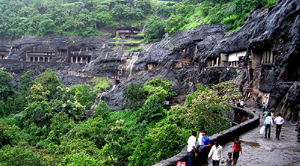 Therefore, special Mumbai Slum Tour has been statred by various travel companies. The only city that welcomes people of every belief, faith and religion, has a diverse nature and multi-cultural lifestyle. The incredible culture of Mumbai is a perfect union of festivities, religion, music, food and theaters. With the most dynamic nightlife, the city is full of extreme energy as so known to be the city that never sleeps. Being an extremely crucial port of British, Mumbai is now the hub of antique bazaars, hidden temples, hipster enclaves and India’s premier restaurants and nightlife. a city that stands brave in in every emergency situation, Mumbai is the destination that is on the top locations on the list of places one wants to explore. The capital city of Maharashtra [Mumbai] is nicknamed as the city of Dreams; people who complement their existence with a list of desires are mostly found in this multi-talented city of West. With a perfect fusion of every single thing, Mumbai is a place that is known for its sense of fashion and the vibrant lifestyle. Mumbai City houses various hues that are evident from its cosmopolitan crowd, various places and forms worship and the cuisines that spoil you from your own choice. Considered to be one of the prominent tourist destinations of India, Mumbai fascinates visitors from all over the world for their various points of interests. From the perfect yet dynamic nightlife, the pre-colonial and post colonial yet the modern architectures, the fashion streets and the popular beaches, there’s nothing Mumbai isn’t famous for. Believed as “there’s no such place in the world quiet like Mumbai. It’s big, it’s loud, it’s beautiful, it’s delicious and most of all its Iconic.” Mumbai retains the captivation of people from a long time. Yet a far way to go ahead. With the friendly nature and lively streets, Mumbai leaves its travelers totally mesmerized and awestruck. With its own language, “Bambaiya” language that is spoken by every single person of Mumbai the list of exploration opportunities never ends in Mumbai. Being home to the Bollywood, the biggest fascination of people and travelers lies in this city. People from worldwide come down to explore the lives of the stars and celebrities. Watch and experience the live shootings, the tour of their houses, or for someone who genuinely wish to learn something, Mumbai never disappoint anyone for any of their needs. The city one must explore in his/her lifestyle. Since Mumbai is a destination which attracts people from all over the world; it has a wide network of accessibility. The Chhatrapati Shivaji Mumbai International Airport, the wide network of railway and the road makes the reach to Mumbai quiet easy. The dream house of Millions is home to Chhatrapati Shivaji International Airport; it’s India’s second-busiest airport by overall passenger traffic. Formerly it was addressed as the Sahar International Airport; the Chhatrapati Shivaji International Airport is equipped with two chief passenger terminal complexes; the Terminal 1 at Santacruz is devoted to domestic passengers and the Terminal 2 at Sahar is an integrated terminal serving both – the International and Domestic passengers. Several international Airlines flies to Mumbai; connecting this incredible city with almost all the prime International and domestics touristic spots [some to name are Mauritius, Hong Kong, Amsterdam, Singapore, Goa, Lucknow, Delhi etc. The appealing city of Mumbai is linked to various cities and towns of India by the medium of numerous National Highways – some to name are: National Highway 4, 17, 8, 3 etc. Several interstate buses also function on a frequent routine –Pune, Aurangabad, Gujarat, Goa, Panchgani, Mahabaleshwar, Nashik, Aurangabad etc. The enthusiastic travellers can opt to cover the distances via luxury or Budget buses to and from the various corners of Mumbai. The Mumbai Suburban Railway, famously addressed to as Locals forms the backbone of the City’s transport system; it’s effectively regulated by the Central and Western Railway zones of the Indian Railways. 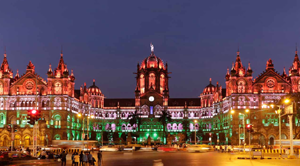 The two prime railheads of Mumbai are – the Chhatrapati Shivaji Terminus Railway station and Mumbai Central Railway station. These railway stations link Mumbai to other chief cities through express, superfast and passenger trains. Mumbai is magic; it’s adorned with the finest city Landscape. This enthralling city is packed with layers of presence throughout the city; however, beginning from the month of October to March is considered as the best-suited duration. 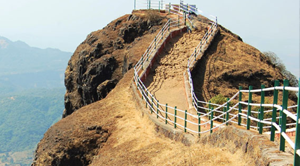 The Mumbai’s summers are hot and sweaty; it’s advisable to avoid travelling to this city in summer intervals; however in case if some other reasons have brought you to Mumbai then you can opt on exploring the enchanting hill stations situated at a workable distance from the city centre. The summer starts from the month of April and lasts to the end of July; the temperature varies from 25 degree Celsius to 38 degree Celsius. 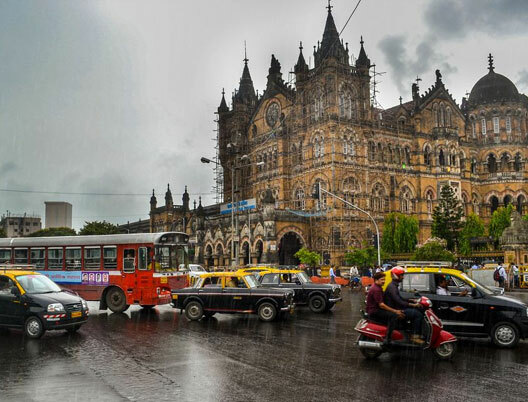 Mumbai receives a plentiful amount of rainfall; the weather turns quite romantic and refreshing but what one cannot avoid are the bustling streets and long traffic routes. Activities like shopping and sightseeing turn into a matter of task during this season. Avoid travelling to the hilly towns as it gets quite slippery out there. The monsoons begin from the month of July and last to the end days of September; the temperature varies from 20 degree Celsius to 30 degree Celsius. This incredible city seems even prettier during the winter months; it’s dressed in moderately cool weather. Winters are best for one to explore this amazing city of Western India. Some of the winter-friendly spots are – Juhu Chowpatty, Gateway of India, Hanging Garden, Haji Ali Dargah, Siddhivinayak Temple and many more. 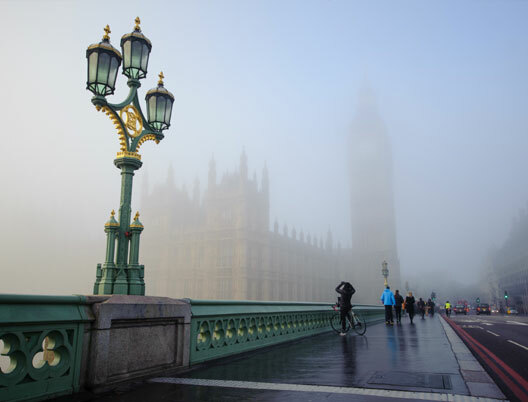 Winters start from the month of October and follows until the end days of March; the average temperature varies from 10 degree Celsius to 35 degree Celsius. The commercial capital of India also serves as home to the world’s most prolific film industry; this enticing capital city is the second most populous metropolitan area in India. It’s not just home to several touristic points of attraction but it’s also adorned with various sorts of places of stay [there are several economic hotels, average-rated hotels, five-star hotels, luxurious resorts and Heritage Hotel]. 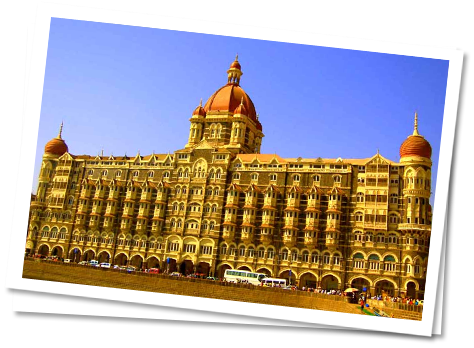 One can choose any spot of comfort and enjoy their stay at this fun-packed city of Mumbai. Minimum 2 and maximum can be any number of your choice; however, 3 days are good to Go. The megacity, often referred as the city of Seven Islands is home to numerous spots of great presence and historic importance – here are the names of some must-visit touristic spots: Gateway of India, Elephanta Caves, Marine Drive, Haji Ali Dargah, Colaba Causeway, Siddhivinayak temple, Juhu Beach, Bandra-Worli Sea Link etc. The soulful city of Mumbai resides under the thickest layer of diversity; it’s not just a basic home, it’s the dream home to millions of people who wish to stand tall on their feet [it’s the land of dream chasers]. People belonging to the various walks of life and faith find this place quite amazing and lively too; it’s a city, which belongs to everyone and then it’s a city, which belongs to no one. 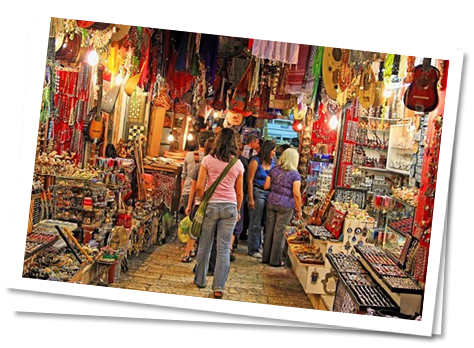 What to buy from the above-listed markets – Fancy clothes, Fashion Accessories, Designer clothing, Home décor, Electronic Goods, Books, Furniture, trendy Jewellery, Footwears, Handicrafts, Original artworks, fabrics, antiques, Souvenir Sketches etc. High street Phoenix| R-City| Phoenix Market City| Infiniti Mall| In Orbit| Oberoi Mall| Sobo Central Brand Factory etc. 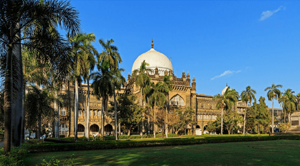 Mumbai is home to several destinations that speak about the past; one such place is the Asiatic Society of Bombay [it’s one of the oldest public libraries located in the city of Mumbai]. Mumbai’s culture lives an exemplary fusion of food, traditional festivals, music, theatres etc; it gratefully offers a Cosmopolitan and diverse lifestyle with an extensive variety of food, nightlife and entertainment. Mumbai is the birthplace of Indian Cinema [it’s equipped with a huge number of Cinema halls that feature Bollywood, Marathi and Hollywood pictures. Contemporary art is exhibited in varies galleries of higher recognition; some government-funded institutions are – the Jehangir Art Gallery and the National Gallery of Modern Art. 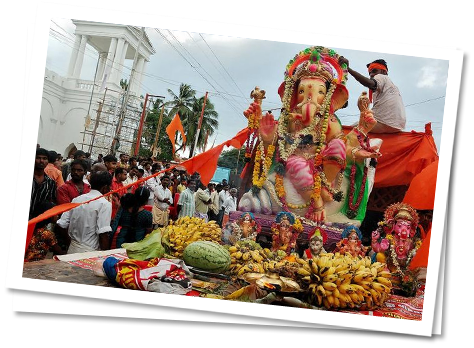 The residents of Mumbai celebrate both – the Indian and Western Festivals – some of the festive occasions are – Diwali, Holi, Eid, Good Friday, Dussera, Maha Shivratri, Durga Puja, Gudi Padwa, Navratri, Krishna Janmashtami etc. This city also enthusiastically celebrates various fairs like the Bandra Fair, the Kala Ghoda Arts festival etc. A fun-spot known as Essel World is situated in Mumbai; it’s a heart-stealing theme park and amusement centre located near to Gorai Beach. It’s adorned with Asia’s largest theme water park [water Kingdom]. Mumbai is home to several languages and religions; it owns a large polyglot population like any other metropolitan city situated in nation India. Sixteen chief languages are also spoken in Mumbai, among which the most common is ear are Marathi, Hindi, Gujarati and English. English is spread in a wider space; a unique language also resides on the tongue of each of the residents of Mumbai – a colloquial form of Hindi addressed as Bambaiya. This mode of communication shares a fusion of Hindi, Gujarati, Marathi, Urdu, Konkani, Indian English and some interesting invented words. The best location of Mumbai to watch the sunset is the Marine Drive, a 3 kilometer long arc shaped road along the coast of South Mumbai. Popularly known as the “Queen’s Necklace” because of its shape and yellow streetlights, Marine Drive is a place which is very well crowded at almost every part of the day. While the sunset view of this location makes it the most romantic spot of the city. With a mesmerizing blend of Indian, Arabic and Western Architecture, this beautiful gateway was built in 1924 to mark the commemoration of the visit of King George V and Queen Marry to Mumbai. Situated at the Apollo Bunder Waterfront, it is made up of yellow basalt and solid concrete. 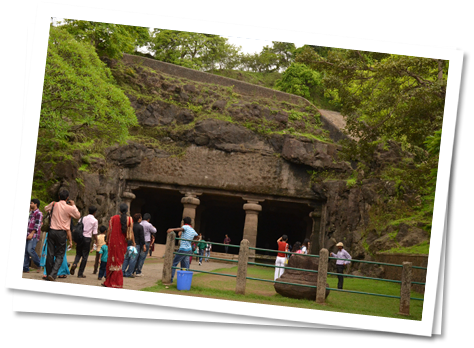 Now, the most important tourist spot of Mumbai, yet a place where local people of the city love to spend time. Officially known as Girgaum Chowpatty, this public beach is the most popular tourist attraction of Mumbai. Besides being the favorite picnic spot of the locals, this beach acts as the star attractions of the tourists and travelers. Offering mesmerizing views of the sea, the beach is full of lively activities. With the local vendors and street food corners and restaurants at the corner lines makes it the perfect place to spend time at. Built in 1431, the Haji Ali Dargah was a reminiscence of an affluent Muslim trader, Sayyed Peer Haji Ali Shah Bukhari who ended his love for worldly belongings and made his trip to Mecca. Since then people from all over the world of all religions and faiths visit here to seek blessings. Made up of glass, it is a perfect engraving of Indo-Islamic style of Architecture. With a courtyard made up of marble and roof covered with exquisite silver frame and marble columns, this Dargah is one of the tourists attractions of Mumbai. The modern railway station of Mumbai, Victoria Terminus is also known as Chhatrapati Shivaji Terminus. Built in 1888, Victoria Terminus is one of the UNESCO World Heritage Site and is has a great historic significance. With a perfect fusion of Late-Italian and Victorian/Gothic and Mughal Architecture Styles, this Victoria Terminus indicates British Commonwealth and represents the mercantile facet of the Mumbai. One of the most visited temples of Mumbai, stands the Siddhivinayak Temple is dedicated to Lord Ganesha. Built by Laxman Vithu and Deubai Patil in 1801, it is one of the richest temples of Mumbai that attracts devotees in large numbers on everyday basis. Being one of the most fascinating tourist places in the city, Siddhivinayak Temple captivates the devotees from all over the world. The star attraction of Mumbai, Juhu Beach is one of the most mesmerizing beaches of India. 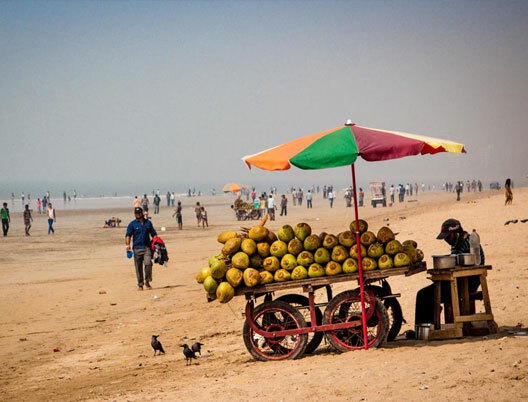 Situated in the “Ville Parle”, it is the most visited beach of India. With the houses of many Bollywood stars and Celebrities stick at the border of the Juhu Beach, it is another famous tourist location of the city. 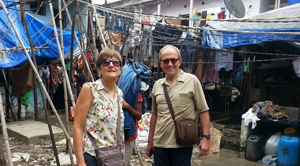 While Mumbai is a city that can be explored in plenty of different ways, one can opt for Mumbai Sightseeing Tour and can explore the best attractions of Mumbai, Mumbai Bollywood Tour, where one can experience the Bollywood life and of Course Mumbai Slum Tour in the biggest slum of Asia that is housed in Mumbai, Dharavi Slum. Being the home to more than three lakh people, it is spread in the area of 557 acres. The most colorful yet commercial slum of Mumbai is where one must visit to known the lives of slum people and the trade that are carried away by them.